Although it is becoming more popular, robotic-assisted radical prostatectomy — the complete removal of the prostate using a robotic apparatus — remains controversial because there has been little evidence that it provides better cancer control than open radical prostatectomy, the traditional surgical approach, which is less costly. 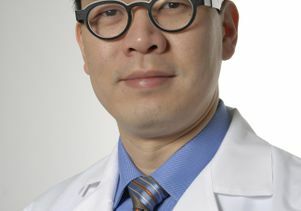 In an effort to determine whether or not robotic surgery offered an advantage, Hu and his colleagues compared 5,556 patients who received robotic surgery with 7,878 who underwent open surgery between 2004 and 2009. Data was provided by the Surveillance, Epidemiology, and End Results–Medicare, a program of cancer registries that collect clinical and demographic information on people with cancer. The researchers looked at the surgical margin status of the two groups, which is the amount of cancer cells at the edge of the removed prostate specimen. A positive margin — the presence of cancer cells at the edge — may result from cutting through the cancer and leaving some behind rather than cutting around the cancer completely. In prostate cancer, this has been shown to lead to a greater risk of recurrence and death from the disease. The team also assessed the use of additional cancer therapies — a hormone therapy known as androgen deprivation, as well as radiation — after robotic surgery and open surgery. Despite the greater up-front cost of robotic surgery, the findings show that the procedure may translate into less downstream costs and fewer side effects from radiation and hormone therapy, the researchers said.